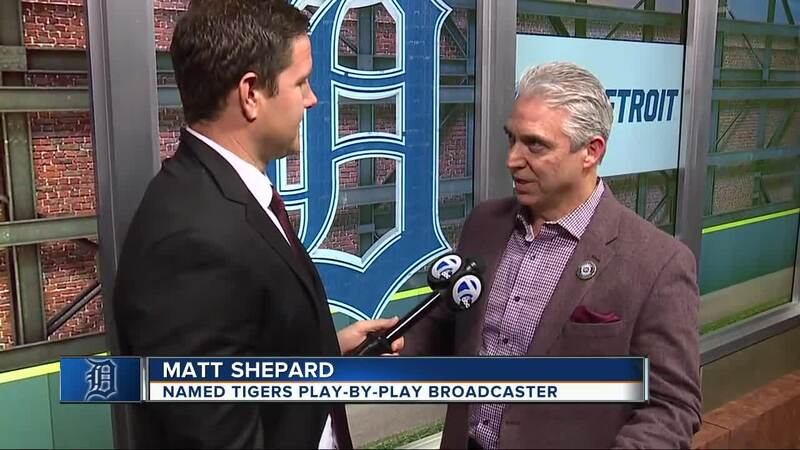 The Tigers and Fox Sports Detroit are going with hometown talent in their new broadcast booth. Matt Shepard will be the team's new play-by-play announcer for the upcoming 2019 season. The official news has not been made public by the team or FSD. WXYZ can confirm the report made first by the Detroit News. Shepard will work in the booth with Kirk Gibson and Jack Morris, who will split time as analysts. The new booth is formed to replace Mario Impemba and Rod Allen, who were let go after a publicized incident this past season ended their long, successful tenures calling Tigers games. Shepard has worked in Detroit in various radio and TV gigs for decades. He hosts his own radio show on WDFN, is the radio play-by-play voice of Michigan basketball and Eastern Michigan football, and has worked with FSD for 20 years as a reporter, anchor, and play-by-play announcer.